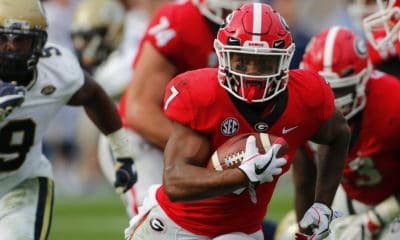 On Saturday, the 13th-ranked Georgia Bulldogs travel to Atlanta to take on the 25th-ranked Georgia Tech Yellow Jackets. The game will be televised by ESPN at 12:00 p.m. ET. The game marks the 106th edition of “Clean Old Fashioned Hate”, one of the nation’s most heated in-state rivalries. Georgia leads the overall series 61-39-5 and has dominated the Yellow Jackets over the last 20 years, winning 16 of the last 20 games. Georgia (9-2, 7-1 SEC) clinched the SEC East title last week with a 19-10 win over Kentucky.  The Dawgs will face Alabama, Arkansas or LSU in the 2011 SEC Championship Game on Dec. 3. Georgia Tech is 8-3 overall and 5-3 in the ACC. The Yellow Jackets started the season 5-0 but have lost three of their last five games. Georgia and Georgia Tech’s first meeting was in Athens in Nov. 4, 1893. Tech won that game 28-3. The Bulldogs won last years meeting 42-34 in Athens. 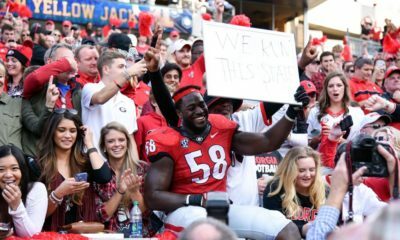 Georgia is 61-39-5 against Georgia Tech. Mark Richt is 9-1 against Georgia Tech. Mark Richt is 2-1 against Paul Johnson. Georgia is ranked 34th in Total Offense with 427.64 yards per game. 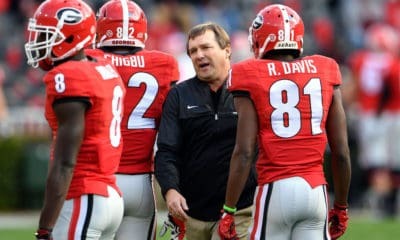 Georgia is ranked 23rd in Scoring Offense with 34.27 points per game. Georgia is ranked 4th in Total Defense with 263.45 yards per game. Georgia is ranked 11th in Scoring Defense with 17.82 points per game. Georgia is ranked 16th in Turnover Margin (+9 ratio). 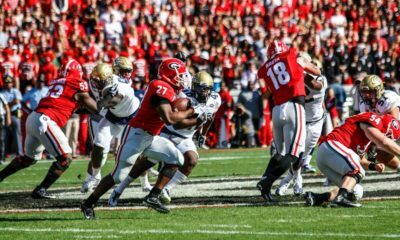 Georgia is ranked 61st in Fewest Penalties Per Game (66 for 517 yards).